The release of escaping your studies to explore our campus; laughing so hard it hurts as you bounce around with friends in a game of bubble football; the exhilaration that comes from smashing your personal best on the track or in the pool; feeling the tension melt away as you stretch out at a yoga class. Whatever being active means to you, at Warwick there’ll always be something that fits your goals and lifestyle, and probably a lot more that you’ve never thought of. UV Zumba or Ultimate Frisbee anyone? We're committed to supporting Team Warwick and celebrating all of the fantastic student sports clubs, athletes and teams on campus. You don’t have to be an elite athlete or have a competitive streak to stay active here, although if you do we have plenty of opportunities for you. If you’re an absolute beginner or you just want to be active, meet new people and have fun, there are plenty of classes, clubs and courses that allow you to join in at whatever level you feel comfortable. The academic timetable is organised so that Wednesday afternoons are free for sport, so you can make the most of what’s on offer. If you’re competing at the top of your field, you can pitch yourself against the best sportsmen and women from around the UK and beyond. We offer support and financial assistance to individuals and selected Team Warwick Performance Clubs that will help you achieve your potential, whatever your sporting ambitions. This help could be in the form of special training sessions, dietary advice and sports psychology work. We provide you with the best facilities and services to match. Our University Sports Centre houses a gym, a 25-metre six-lane swimming pool, squash courts, a functional training studio and an aerobics studio. We also have outdoor all-weather floodlit pitches, a ‘Mondo’ 400-metre all-weather running track and three indoor sports halls. 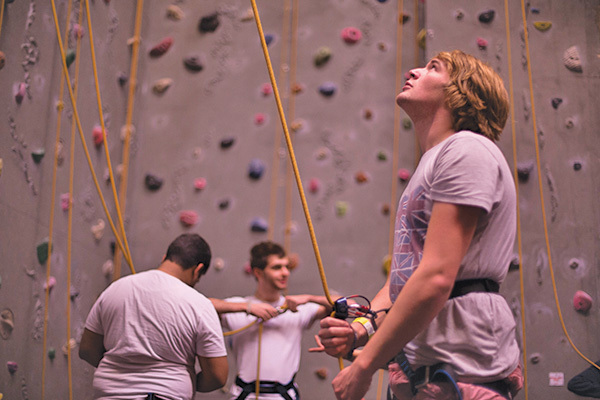 40 ropelines and a specialist bouldering room are waiting to be tackled if you take on the challenge of our Bear Rock climbing wall. Or you can let your racket do the talking in our state-of-the-art purpose built Tennis Centre on campus. On top of that, we’re putting £40m and a lot of thought into making sport at Warwick even more rewarding and accessible. If you join us, you’ll be among the first to benefit from our new Sports and Wellness Centre, which is currently under construction and due to open on April 19, 2019. It will be packed with top-class facilities and equipment, including a new sports hall, flexible swimming pool area, fitness suites, climbing and bouldering walls, squash courts, adaptable studio spaces, a welcoming café, outdoor 3G sports pitches and netball courts. 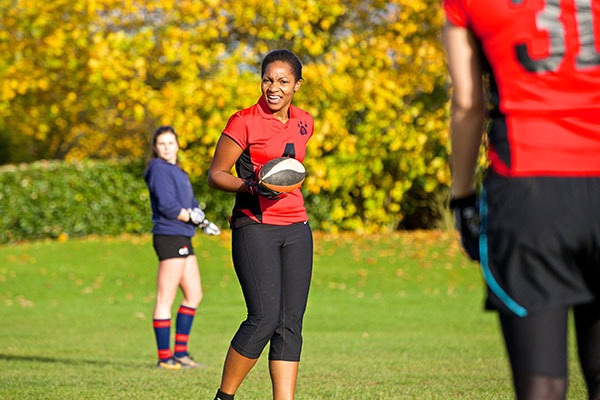 Every student on campus is a Bronze Member of Warwick Sport and it doesn’t cost anything. Why? We want to show you the vast number of opportunities you have to be active every day. You can also buy Silver, Gold and Platinum membership, each designed to give you the best possible value for money depending on what sort of activity you want to do. For more information, visit the Warwick Sport website. 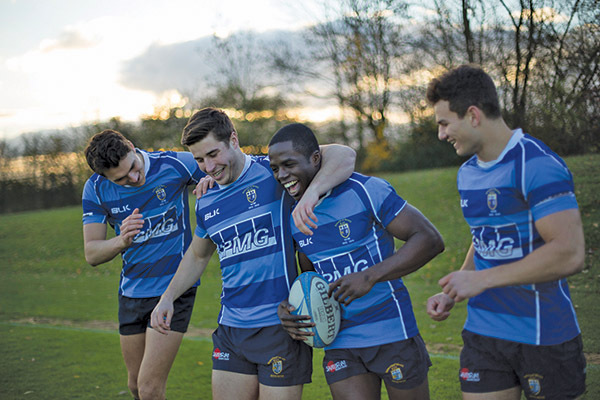 65 sports clubs – Run by the SU, these include sports such as football, netball and rowing as well as more unusual activities such as gliding and motorsports. Short courses – work on your favourite activity or try something new, whether that’s archery, badminton, swimming, or a bootcamp-style workout. Lifestyle gym - Improve your fitness, health and wellbeing and enjoy classes ranging from high-energy cardio workouts and strength-training to yoga. Events – throughout the year you can party with UV Zumba and Rollerdisco, or let off some steam on our Halloween Zombie Run. Free activities – With walking, running and cycling routes across campus, you can blow the cobwebs away and enjoy a breath of fresh air. Rock Up & Play – No need to book or commit long term, just turn up and join in with activities including dodgeball, athletics and cricket.